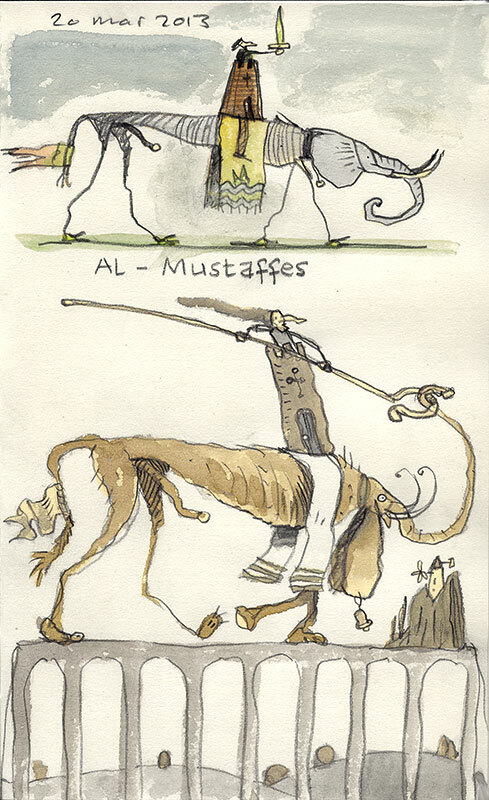 A sketch of "Big Al" Mustaffes, the putative king of Almussafes for next month's exhibition in Spain. 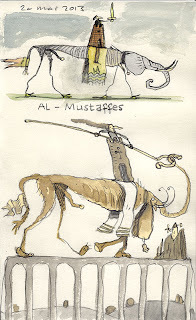 Pencil and watercolour 21cm x 13cm. Click to enlarge.